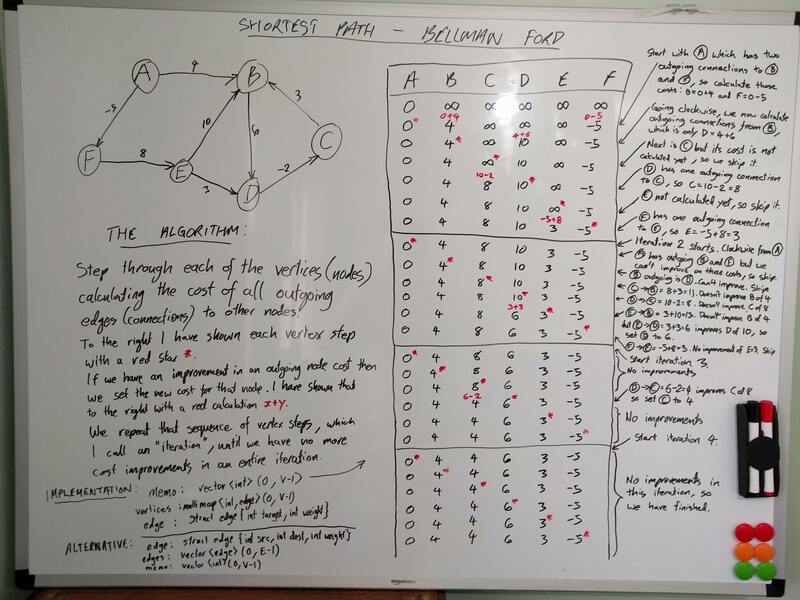 The above is a very simple implementation of the algorithm. It is O(V²). We can optimise this to be something like O(E log V) by using a heap, map, or set data structure in the next_vertex_to_visit() function. 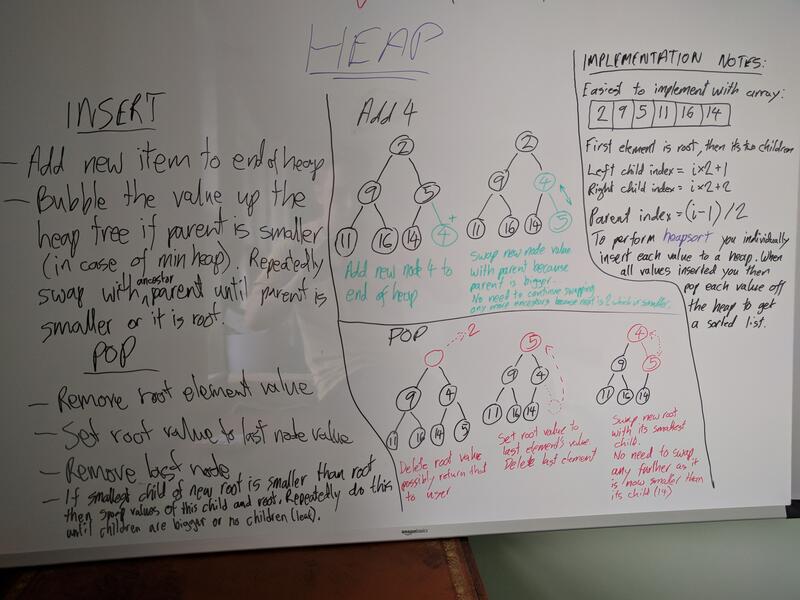 The above implementation is also not very object oriented. 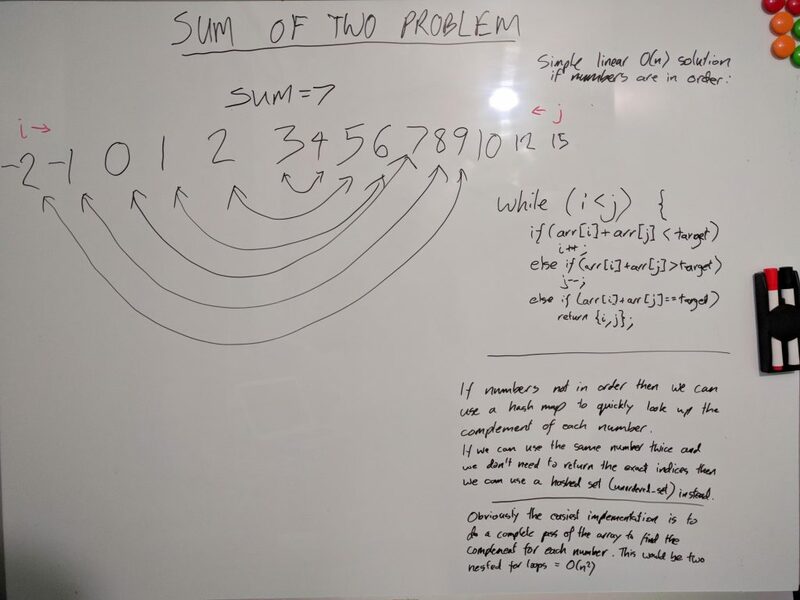 I felt that putting this functionality into classes would increase the complexity a bit and I wanted this to be as easy to understand as possible. 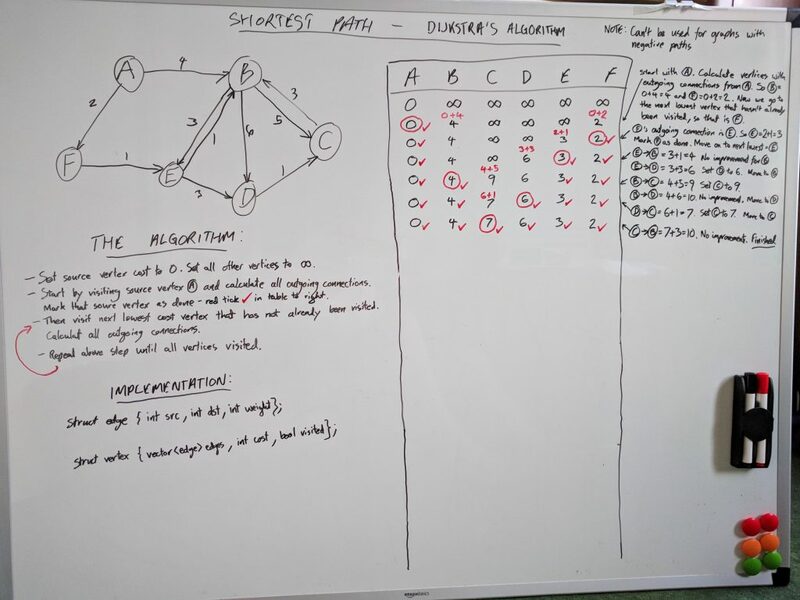 If I was to implement this in production code then I would have a Graph class to encapsulate the logic. 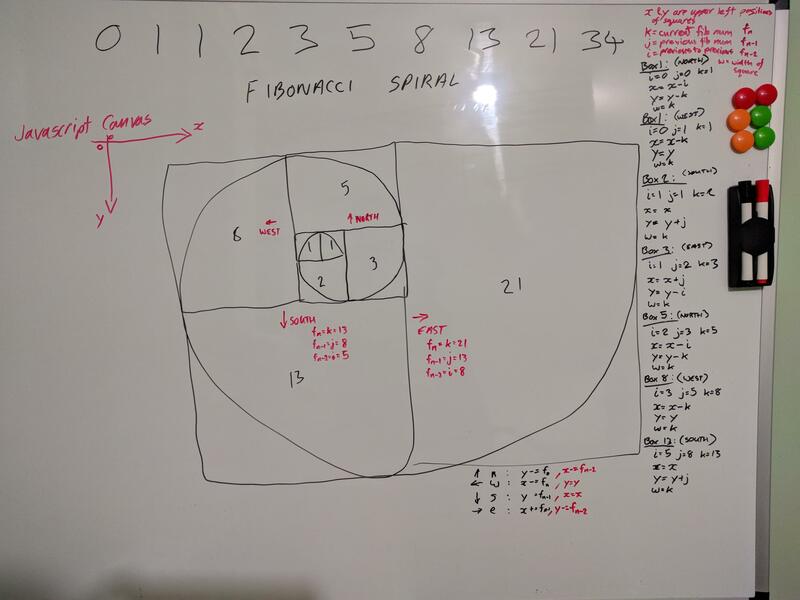 Here are my whiteboard plans for drawing the Fibonacci spiral. The main issues were figuring out the x and y positions of each of the squares. I knew that I would need a loop that iterates around North, West, South and East directions anti-clockwise. 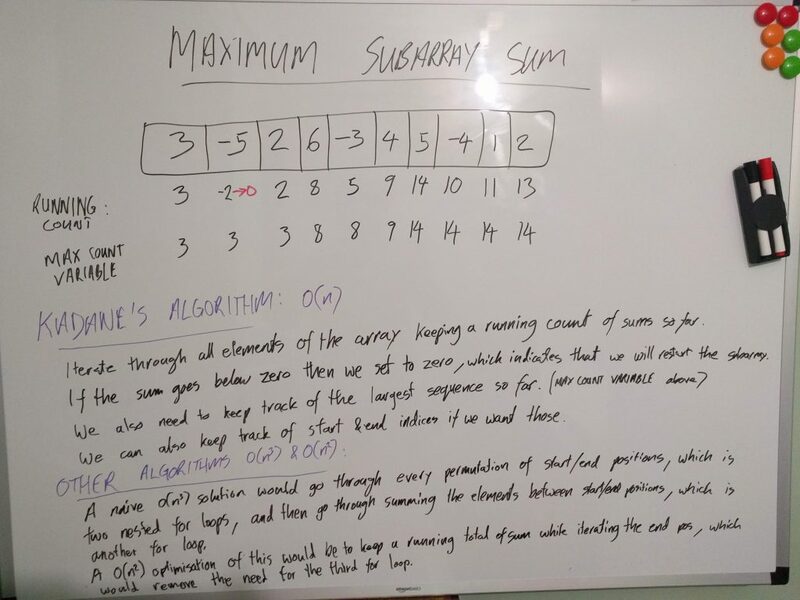 I think we can calculate the differences between the daily prices and then treat this as a maximum subarray problem. So when the share price goes down and the total goes below zero, we reset this by setting the count to zero. 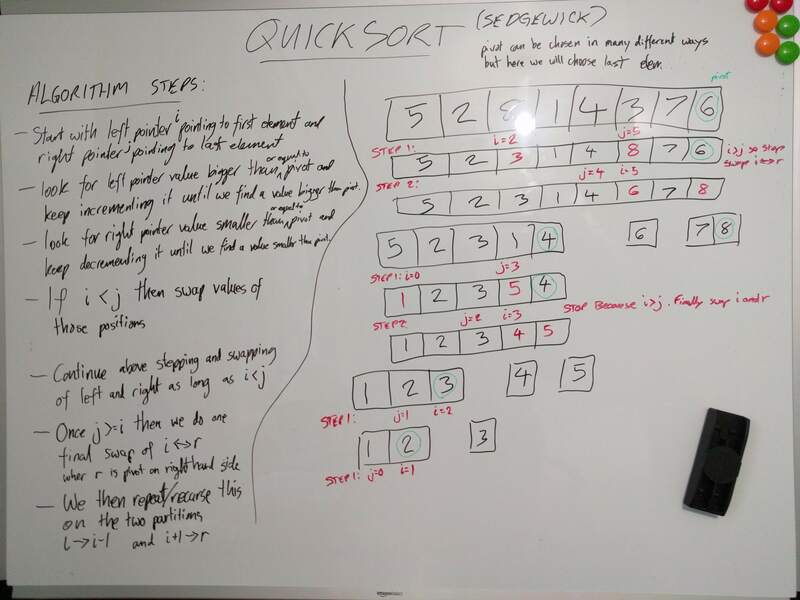 Quicksort is nlogn most of the time & usually 2 or 3 times quicker than MergeSort but can be n² in some cases, e.g when the numbers are already sorted in my implementation below. It is a divide and conquer algorithm. It uses a pivot to partition numbers smaller and bigger than the pivot on each side of the pivot. There are various ways to choose a pivot including the median item and last item. There are also a huge amount different ways in which you can implement the rest of the logic in the quick sort. 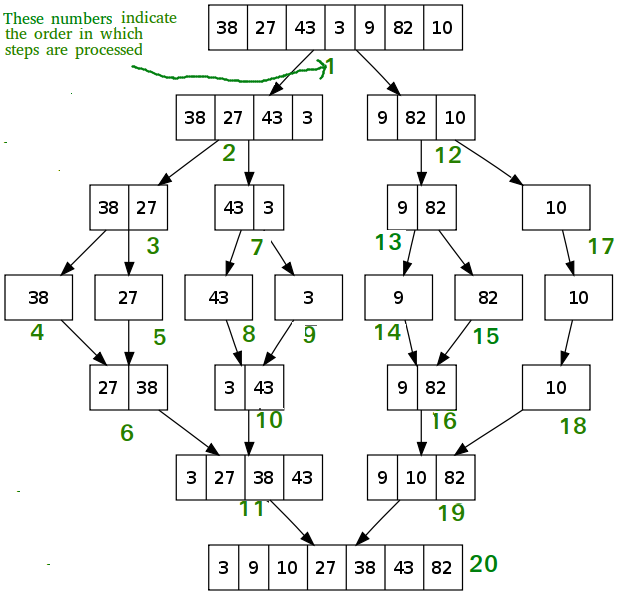 In the gist below I have implemented a quick sort algorithm similar to Robert Sedgewick’s in his algorithms book. This uses divide and conquer. Divide in half repeatedly until we have list of single elements. Then we start comparing those elements to build up a set of pairs. Then we compare pairs to have sets of 4 elements. Repeat comparing/combining lists until we have a single sorted list. 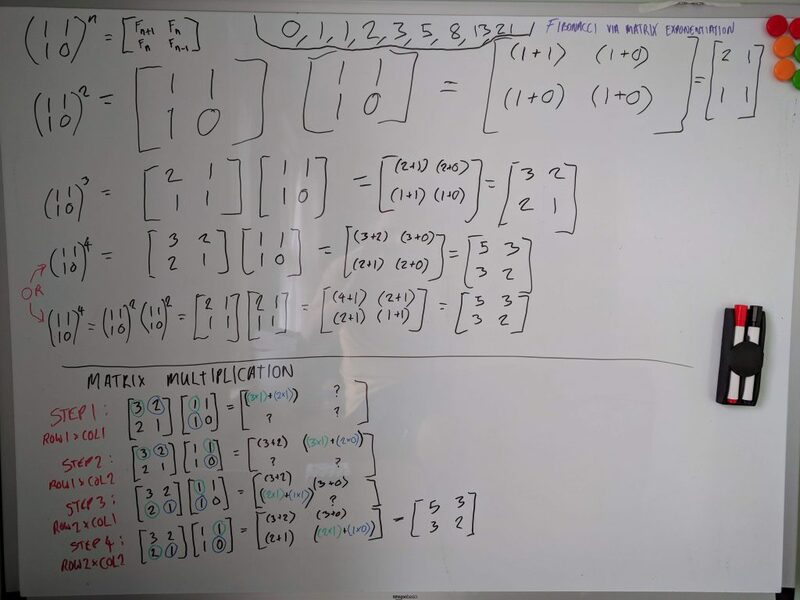 In my code example I have used a mid point m as being the first element of the right hand partition. Most implementations use a mid point m as being the last element of the left hand partition but it doesn’t make a huge difference. This is going to be the first in a series of sorting algorithm posts. I thought I’d make these posts so I can quickly refresh my memory of the algorithms in the future.